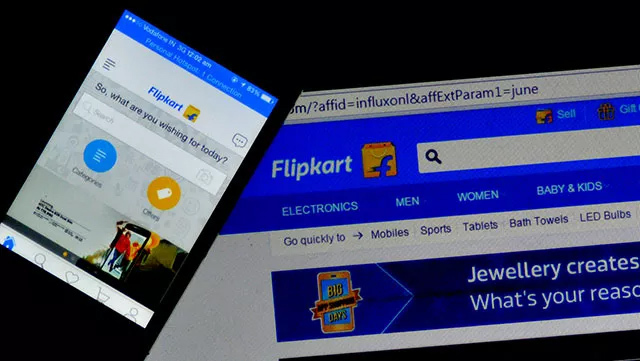 A mutual fund managed by US-based investment firm Vanguard Group has marked down the value of its stake in Flipkart, joining at least four other investors in doing so, as the Indian online marketplace continues to battle valuation concerns. Vanguard slashed the holding value of its investment in Flipkart by as much as 25% in the quarter through March, according to filings with the US Securities and Exchange Commission (SEC). This is the sixth valuation markdown for Flipkart this year. A fund managed by Morgan Stanley has reduced the value of its investments twice while Fidelity Rutland Square Trust II, Valic Co., and T. Rowe Price have each lowered the value once. Flipkart didn't respond to an email seeking comment. A spokeswoman for Vanguard said in an emailed response that it wouldn't comment on specific holdings or the valuation of any private holding as per company policy. She added that inputs which support the valuation process of privately held equities include offering price, financial performance of the company, the performance of comparable companies and corporate actions. Morgan Stanley, in its second valuation mark down, had slashed the value of its stake in Flipkart by 15.5% to $87.86 at the end of March 2016 compared with $103.97 three months earlier. In the first instance, the company had reduced the valuation by over 27% in February. In April, American mutual fund T Rowe Price knocked down the holding value of its investment in Flipkart by 15.1%. In early May, US mutual funds Fidelity Rutland Square Trust II and Valic Co. reduced the value of their holdings in Flipkart by 40% and 29%, respectively. According to Morgan Stanley’s latest markdowns, Flipkart was valued around $9.4 billion while T. Rowe Price valued the firm at about $12.9 billion. While Valic put the overall valuation a tad less than Morgan Stanley, Fidelity thinks the e-commerce company is valued less than $10 billion. These valuations compare with the $15.2 billion valuation that Flipkart acknowledged in September last year based on its last funding round in mid-2015. Vanguard initially acquired Flipkart shares in 2014 during its Series G fundraising and later at the time of the Series H round in December 2014. Morgan Stanley, Fidelity and Valic first acquired Flipkart shares in 2013 during the company’s Series D round. Morgan Stanley invested again in 2014 and Valic in March 2015. To be sure, the value of their investments has risen since they bought shares of Flipkart. The markdowns come at a time when Flipkart is reportedly trying to raise more funds amid an intense battle with SoftBank-backed Snapdeal and the local arm of Amazon.com Inc to maintain its supremacy in the Indian e-commerce market. VCCircle had recently reported that Flipkart was turning to debt financing as the equity infusion it was asking for at $15 billion valuation looked like a long shot after the successive markdowns. This article has been updated to include Vanguard's response.